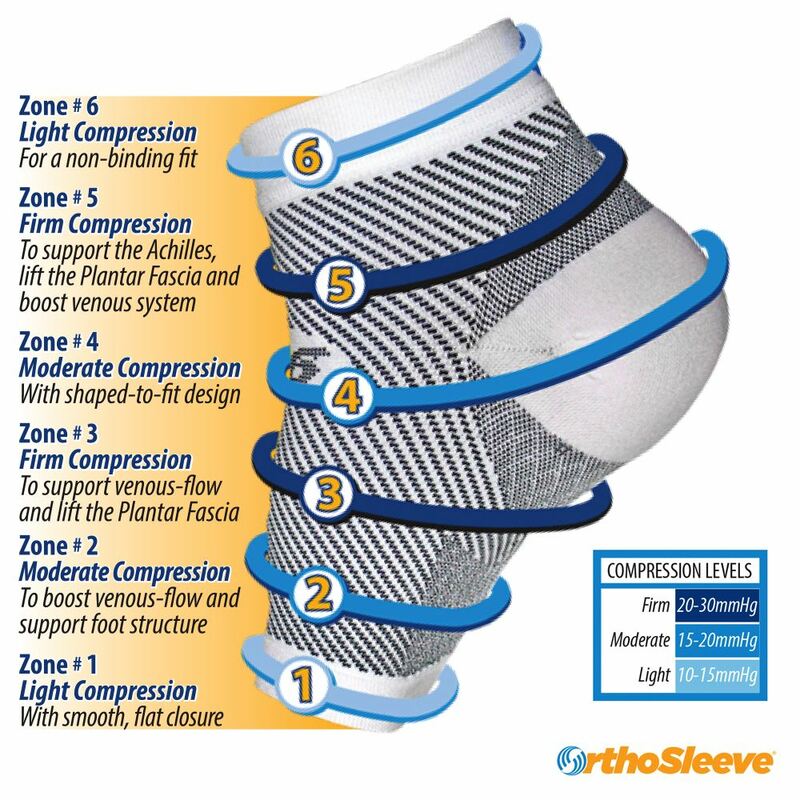 The Orthosleeve FS6 Foot Compression Sleeve targets pain associated with plantar fasciitis, heel spurs and swollen feet by increasing the speed of blood flow to the feet and arches. Lycra® constructed, the ultra-lightweight Orthosleeve FS6 repels moisture and can easily be worn under socks for maximum comfort. In fact, its profile is so slim you ll hardly be able to tell you re wearing it, other than for the improvements in the performance of your feet. 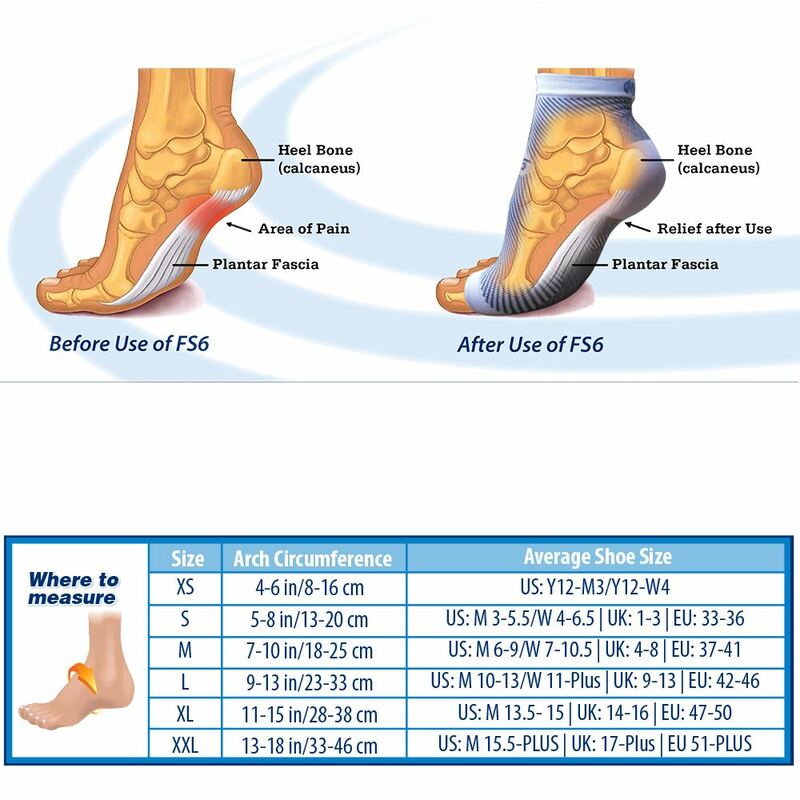 Opt for the proven effectiveness of the FS6 over inferior compression stockings or bulky braces. Equally capable of increasing athletic performance, increasing stamina for those who spend long periods of time on their feet or for providing pain relief, the FS6 can be worn in combination with CS6 Calf Compression Sleeves for ultimate effectiveness. Available in multiple colours and sizes, each pack contains a pair of FS6 Sleeves. 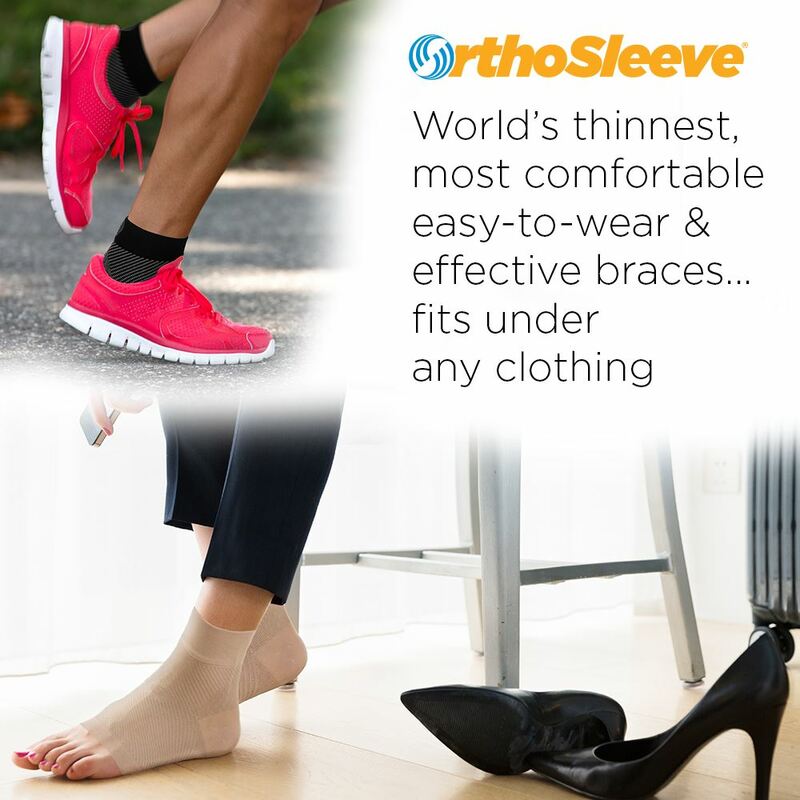 All Orthosleeve products come with a 30 day guarantee, 100% satisfaction or your money back. When compressing any muscle, the arteries in the area will dilate, encouraging faster blood flow from the heart, supplying the muscles with oxygen and vital nutrients. 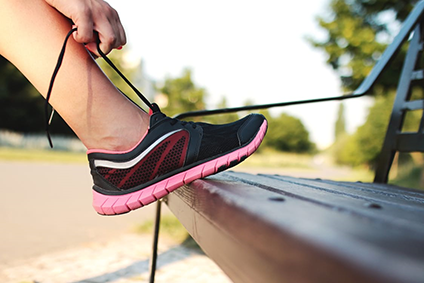 At the same time, the veins are forced to constrict, increasing the speed in which deoxygenated blood can return to the heart, giving you faster recovery time, improving your muscles capabilities whilst decreasing soreness and fatigue. Patented Compression Zone© technology found across the Orthosleeve range works in multiple ways. Light compression around the hems of the sleeve offer a smooth, easy to wear, non-slip fit, whilst moderate compression zones support the heel and boost venous flow. The final layer of firm compression supports the Achilles and lifts the plantar fascia, increasing blood and oxygen flow to the foot, providing superior stamina and pain relief.